Home / Articles / What Is the Purpose of a Risk Assessment? The term ‘risk assessment’ is commonly used and it’s a vital aspect of modern health and safety. We live in an era where inefficient or negligent safety practices are no longer acceptable and will result in legal action. So what is the purpose of a risk assessment? 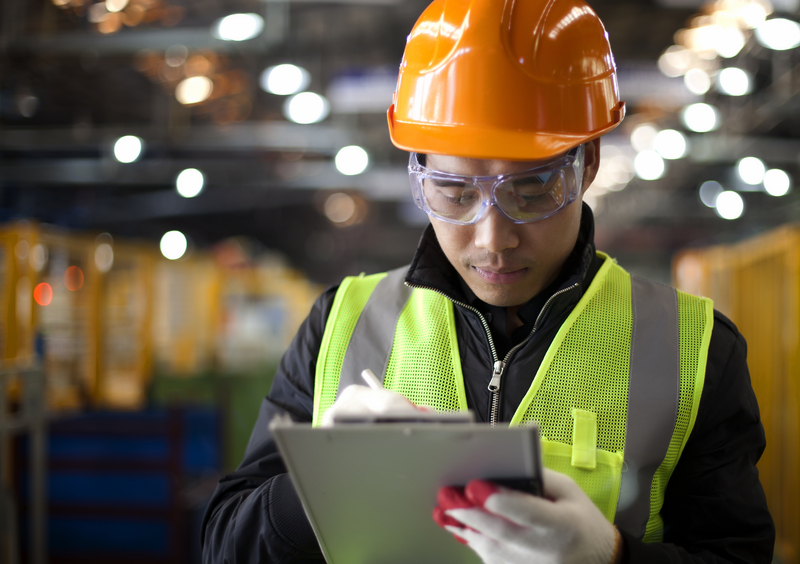 These days, there tends to be a lot of focus on marketing and technology when it comes to business, but health and safety is still very much a cornerstone of the business world. Good health and safety practices not only prevent injury in the workplace, but also prevent serious incidents from damaging the reputation of a company. In this post, we’ll discuss the purpose of a risk assessment and why it’s something that no business owner can afford to ignore. Employers have a duty of care to their employees and a crucial aspect of delivering that is ensuring safety in the workplace. The purpose of a risk assessment is to allow the employer to identify any potential risks and take necessary measures to keep their employees safe. While the purpose of risk assessment is the prevention of occupational risks, some workplaces are more dangerous than others and it can be difficult to completely eliminate the possibility of an accident occurring. In terms of warehouse safety, there’s a lot to consider, including the storage of heavy objects, working at height, manual handling and much more. Therefore, a risk assessment becomes crucial for reducing and preventing injury — it can even save lives. Another purpose of a risk assessment is to provide employees (and yourself) with the necessary training to ensure that they maintain adequate health and safety practices at all times. On the job training is one thing, but the insight and knowledge of a health and safety professional will open your eyes to all of the potential risks at your place of work. Here at Storage Equipment Experts, our SEMA-approved inspectors carry out thorough racking inspections to make sure that you are complying with health and safety requirements. We also carry out one-day racking inspection courses — either at one of our training centres or at your workplace — which teach you everything you need to know about warehouse safety. Upon completion, you will have attained the vital knowledge needed to carry out your own internal inspections. There’s no doubt that the primary goal of any employer or business is to protect workers from any potential hazards. But another crucial benefit of a risk assessment is that it helps to prevent damage to or loss of product due to insufficient storage or transportation. This is especially important for companies who operate expensive machinery or store high-end goods, or small business owners who tend to work on a much tighter budget. Damage to products due to accidents in the workplace can be expensive to replace or lead to loss of business, if you have to wait for replacement goods. It could also make your customers lose faith in your company, damaging your reputation and leading to a reduced customer base. When it comes to warehouse safety, possessing the correct knowledge of racking systems, ancillary equipment — such as forklifts — storage equipment and different types of damage will give your workers the awareness needed to help them make their daily surroundings a much safer environment. Are you concerned about workplace safety and think you would benefit from a risk assessment? Contact Storage Equipment Experts today to discuss how we can help. We provide racking inspections to make sure you remain compliant with workplace health and safety regulations.